It may not be the biggest gambling venue in the country, or even in Queensland – but for sheer awesome grandeur, the Treasury Casino and Hotel is impossible to beat. 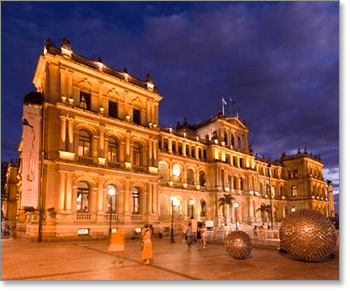 Fashioned out of an old government building in central Brisbane, this is probably the coolest place to play land-based blackjack games in Australia. Let’s take a look at what The Treasury has to offer fans of 21. As of September 2017, online gambling has been banned in Australia, making it illegal for Aussies to play blackjack at offshore casinos. But for our international audience, for the best odds on real money 21, you can’t go past our recommended Internet casinos. These secure gambling sites offer dozens of virtual blackjack releases, including multi-hand games, live dealer 21, and real cash blackjack for iOS and Android devices. Each of these Web casinos runs advanced SSL (Secure Socket Layer) encryptions to protect all banking transactions, so there is no risk when making real cash deposits and withdrawals. Collect up to $1200 free bonus money by signing up at Royal Vegas Casino – our top-ranked blackjack website for international players. While the overall quality of 21 games in Australia has sunk to appalling depths in recent years (read up on Blackjack Plus at Crown Casino to see what we mean), Treasury Casino still offers a solid spread of options for both low-limit bettors and high rollers across more than 25 tables. Below are the standard rules for Queensland blackjack, as also found at Jupiters Casino on the Gold Coast and The Reef in Townsville. Minimum bets with these conditions usually start at $5. 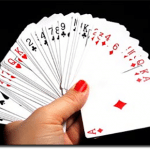 The house edge for QLD blackjack is around 0.55 per cent when basic strategy is applied. If you aren’t afraid to bet upwards of $50 minimum per hand, The Treasury also runs a number of high limit blackjack tables. These are especially prevalent on the weekends, and often come with a few favourable adjustments to the conditions of play – such as being able to split up to four hands. Serious players and card counters will also like that many of these hi-stakes 21 games are dealt by hand from a traditional shoe, rather than using a continuous shuffling machine (CSM). The expected return on The Treasury’s high-bet blackjack tables can be as high as 99.49 per cent. Fans of high volatility gambling may well enjoy the big payouts available in Super Sevens. However, as a general rule, we suggest steering well clear of this blackjack sidebet, as it drives the house edge up to well over 11 per cent. This is a version of Australian pontoon found only in Brisbane, although it plays almost exactly the same as Jupiters 21. It uses six standard decks with all face-value Tens removed, and offers bonus payouts for hands of 7 7 7 or 6 7 8 – including a Super Bonus up to $5000 for three suited Sevens. 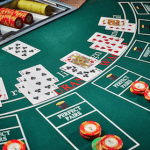 The lower limit pontoon tables on the main casino floor use continuous shuffling machines, while the high stakes Treasury 21 tables in the VIP room are dealt from a shoe – as per the regular blackjack games. Instead of the OBO rule to compensate for the dealer taking no hole card, Treasury 21 uses busted bets plus one (BB+1). Here, instead of only losing the initial wager when the croupier turns up a natural, the player also forfeits one additional bet from any doubles and/or splits played. It doesn’t matter if you have doubled on a split hand – you only lose one of those extra wagers. Unlike the pontoon variants found at some other Australian gaming establishments – Adelaide Casino, for instance – here you can double on any number of cards. This is called not-last-chance doubling (NLC). Contrary to popular myth, pontoon is usually far better value than most other BJ games found in Australian casinos. Treasury 21 is no exception, as it carries a house edge of just 0.41 per cent – 0.10 per cent lower than Queensland’s VIP blackjack games. So whether you want to stick to the low bets or splurge on the hi limit pontoon tables, Treasury 21 is statistically the best way to go. Note: This information is intended for our international readers only. Online gambling is illegal in Australia as of September 2017 following the introduction of the Interactive Gambling Amendment Bill 2016, so for Aussies the content on this page is informational in nature only. If you want to play traditional blackjack tables in b&m casinos in Australia, then The Treasury in Brisbane is one of the better bets out there. Nevertheless, the odds available at Queensland gambling venues cannot compare with those at trusted blackjack casinos. Even the online pontoon games are more player-friendly than their land-based counterparts, with a house edge of just 0.39 per cent. And that is to say nothing of Microgaming’s Classic Blackjack title, which boasts a theoretical return rate of 99.87 per cent – nearly half a buck better than your average 21 table these days.